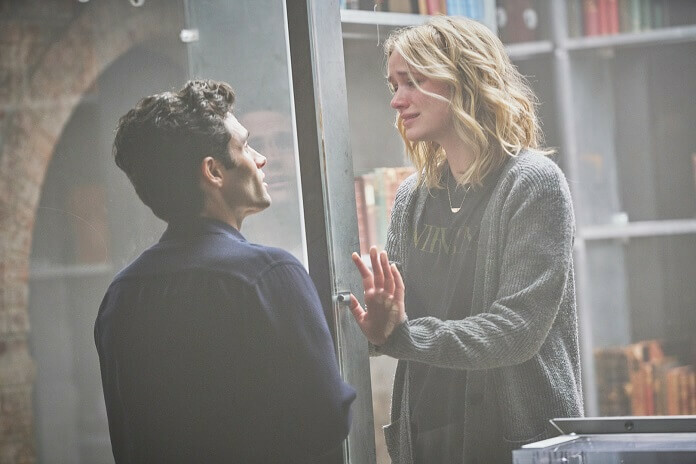 Lifetime’s riveting drama You finishes up its first season on November 11, 2018 at 10pm ET/PT. Season one episode nine found Beck discovering Joe’s secret stash of his victims’ belongings. 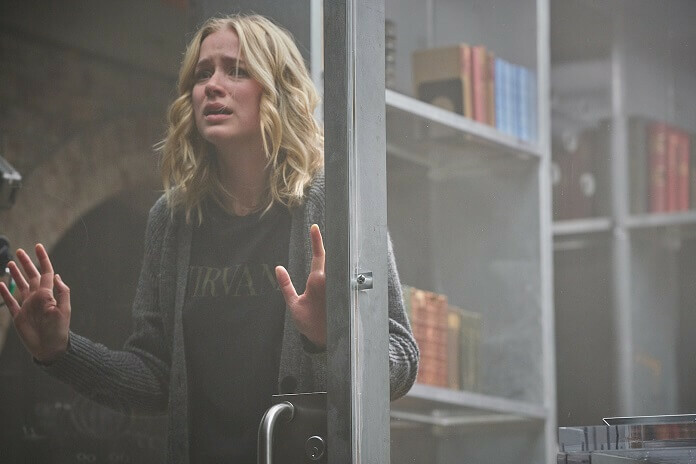 Beck was caught before she could escape the apartment, and the episode ended with Joe locking Beck away in the basement of the book store. Season one episode 10 is titled “Bluebeard’s Castle” and promises to reveal Beck’s fate. 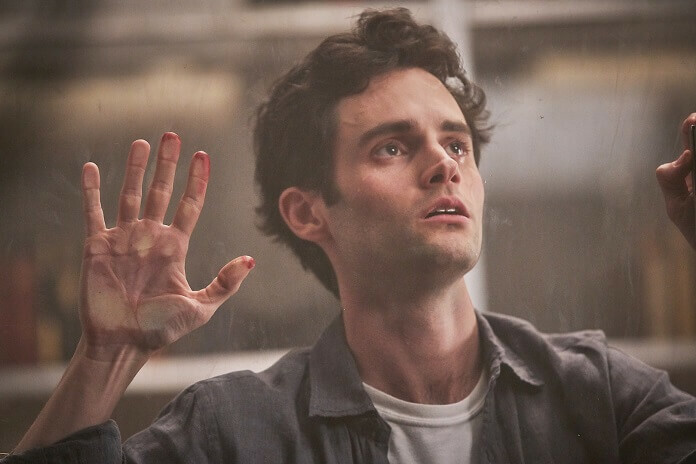 The cast of season one is led by Once Upon a Time‘s Princess Anna, Elizabeth Lail, and Gossip Girl‘s Dan Humphrey, Penn Badgley. Season one also features Luca Padovan (Super Wings!) as Paco, Zach Cherry (Our Cartoon President) as Ethan, Shay Mitchell (Pretty Little Liars) as Peach Salinger, Nicole Kang as Lynn, and special guest star John Stamos (Scream Queens) plays Dr. Nicky. The “Bluebeard’s Castle” Plot: Can Joe and Beck ever really work? 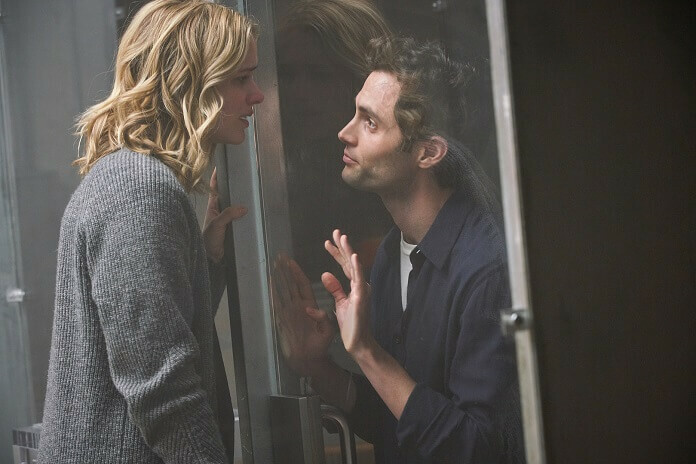 In a shocking season finale, Beck’s deepest truths are revealed, and Joe pushes the limits of what he’ll do for love. “You is a 21st century love story that asks, ‘What would you do for love?’ When a brilliant bookstore manager crosses paths with an aspiring writer, his answer becomes clear: anything. Using the internet and social media as his tools to gather the most intimate of details and get close to her, a charming and awkward crush quickly becomes obsession as he quietly and strategically removes every obstacle – and person – in his way.